Chehalis is a small town in southwest Washington, halfway between Portland and Seattle. In 1994, Mike and Sue Scofield, who live in nearby Centralia, were inspired to start their own family-run business. With the help of their son Jeff and daughter Jennifer, they began producing homemade mint candies. The smooth texture and delicious flavor of Chehalis Mints quickly became popular with customers around the Northwest. 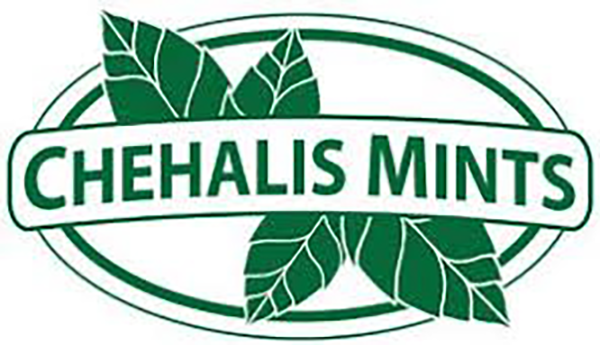 Chehalis mints are made with superior quality gourmet chocolate. The mint is grown in a rich agricultural region of Eastern Washington and converted to essential oil by I.P.Callison and Sons, Inc. of Chehalis - hence the name Chehalis Mints. Each mint candy is hand poured, hand wrapped and hand packaged. The unique wooden gift boxes, make of Pacific Northwest pine, are handcrafted and silk-screened by Mike and Jeff. Quick turnaround time, friendly small town service and pride in our products are the hallmarks of our family business.